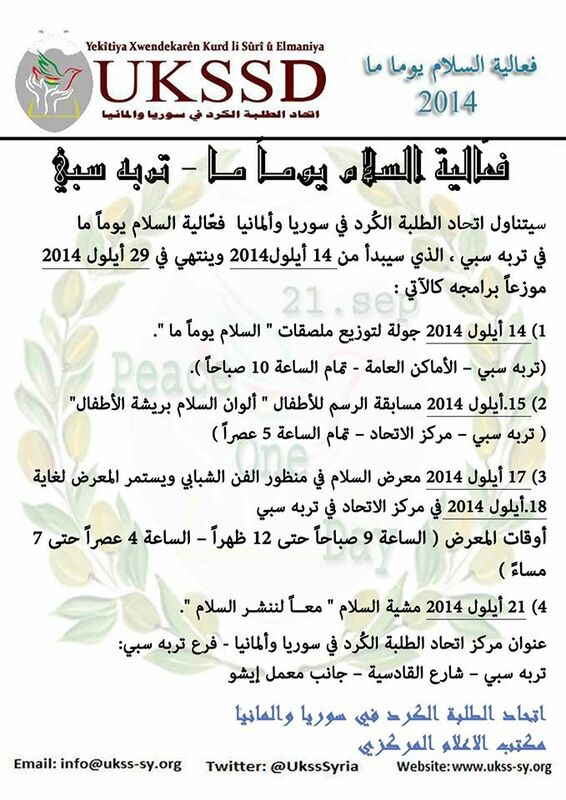 Activities of ” Peace One Day “|Tirbespi, Syria – DOZ e. V.
1) September.14. 2014 : tour to distribute posters of “Peace One Day.” (Tirbespi – public places – at 10:00). Address of UKSSD-Tirbespi Branch: Tirbespi – Qadisiyah street – along with Isho factory.